This guide to rooftop development in London has been put together by South Coast Estates, a company that specialises in this increasingly popular and innovative form of development across the capital. This article is aimed at those wondering if their building might be a potential candidate for rooftop development, be that as a leaseholder, the freeholder or a business or local council looking to maximise the potential of their property assets. This document acts as an introduction to rooftop development and should be seen as a first step prior to contacting a specialist airspace development company to discuss options in more detail. Rooftop development, also known as airspace development, is the process of building upwards, on top of existing properties. Often, this is on top of existing blocks of flats and buildings where there are already shared facilities and utilities, such as lifts and communal spaces. Other examples have included rooftop development on top of commercial premises such as supermarkets or public buildings. Rooftop development is commonly seen in urban areas where there is a lack of available space for new development. In the UK, this form of development is only recently gaining traction but still lagging behind the prevalence in major American and some European cities. Why the general need for new development solutions? Rooftop development can help to tackle a major problem in London, the lack of available housing. A 2017 Housing White Paper identified airspace development as one way to tackle this housing shortage, referencing the potential for development “where buildings can be extended upwards by using the ‘airspace’ above them”. To put the housing shortage in context, a release from Mayor Sadiq Khan’s office outlined a requirement for 66,000 new homes to be built every year, while data in a London Councils members briefing stated there could be a deficit of 559,000 homes by 2021. Simply replacing existing housing stock will not be sufficient, London’s population grew by more than a million between 2001 and 2011 and yet there is no recent decade in which more than 200,000 new homes haven been built. New solutions are required and that is why utilising the one thing London already has – existing properties – is so appealing an option, and an option with far more weight behind it now after the 2017 White Paper mention. Rooftop development alone cannot solve London’s housing crisis but it can be a key factor in tackling a growing social concern. Another aspect we will come on to is the need of those in properties to maximise their asset. Rooftop development leads to enhancements that benefit existing residents and this in turn can lead to every individual dwelling increasing in value. Why the specific need for rooftop development among Lessees in London? Walk around London and you will see many run-down residential buildings. A key cause of such building falling into disrepair is the lack of cash among lessees to renovate and repair their buildings. Partnering with an airspace developer like SCE is therefore their ideal solution. Cash is generated for renovation from enhanced income streams due to the development. Their asset, i.e. the property, gains value, communal areas get improved and all for no outlay among the lessees. Not every property is a candidate for rooftop development. In assessing a building’s potential suitability, a developer has many varied considerations. Specialist airspace developers have vast experience in assessing a building’s suitability but the growth in this sector has seen traditional contractors unqualified in this area also trying to take on rooftop projects – the cowboys of builders of conventional sterotype. Often they will lack the experience or skills to be able to rule in and out properties and anticipate potential challenges before they arise. The varied considerations would include the structural strength of the building – can it take the load of having extra properties added to it? If not, could this be rectified? Would the new properties have a means of escape that meets building regulation standards? With height added to the property, the building could move into a new category meaning upgrades are required throughout the property. The developer would also look at existing services and how these could be extended to the new properties, could this be done through an extension of the supply lines already in place, or would retro-fitting of completely new systems be required? Every building will have its own unique challenges and it is the developer’s job to ascertain whether the cost and complexity of the work is ultimately justified in terms of properties created and income received, both for the developer and the pre-existing interested parties such as leaseholders and freeholders. Residents of other buildings have to be taken into consideration too, would any addition to a property contravene a right-of-light that they have, would the development require party wall agreements? As the leaseholder or freeholder to a property, you would not be expected to know whether your building is suitable for rooftop development, instead, contact a specialist developer who can give you an honest assessment. Planning: The rooftop developer will use a specialist planning team to ensure that build is compliant with all conditions and laws to smooth the process. 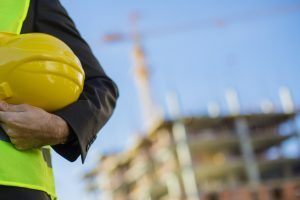 A builder won’t be able to properly manage the planning process and could potentially not comply with the planning conditions leading to an unlawful build. Properties will then be hard to sell. Legals: Rooftop developers will take a belt and braces approach with all legal checks undertaken by competent third parties. This includes checking leases, titles, pans, etc. A builder will just build and take no notice of legal requirements. 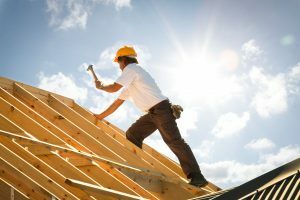 Financing: Rooftop developer backed finance is stronger than builder backed finance due to the amount of builders going bust. Principal designer: It’s important to note that if there is no principal designer involved as there is with rooftop developers then lessees will be personally liable for on-site negligence. If a property is deemed suitable for rooftop development by a specialist developer then an obvious next step is to draw up plans for the work. The approach will vary depending on the developer chosen. Below is the process with South Coast Estates. The approach is different to most airspace specialists and certainly different to standard, non specialist builders in that we retain an interest in the property on completion of the work. Traditional developers realise their profits on the sale of new properties, hence once they have all been bought they no longer retain any interest in the development. They have banked their profit and move on to the next project. Our approach is to rent out the new properties and so our interest is ongoing. This is better for lessees as no corners get cut, as the commitment is long-term and not the short term gain of making a fast sale. 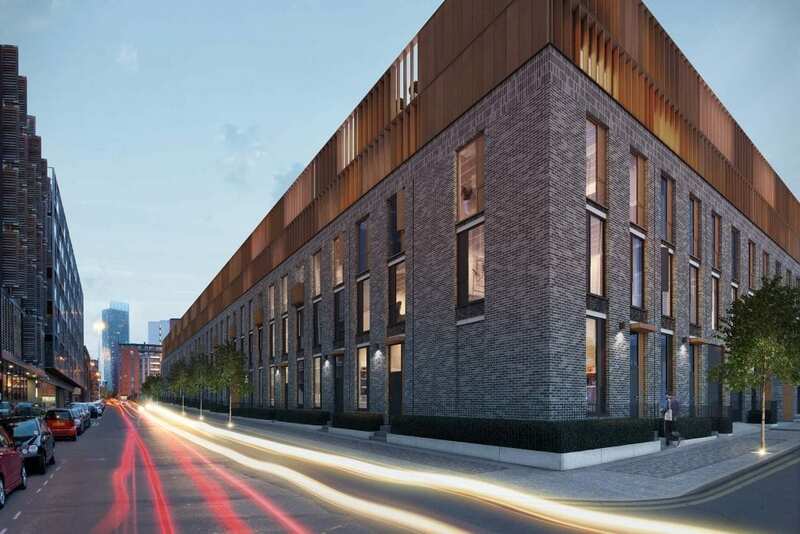 This approach means that the initial design, worked on in partnership with the leaseholders and freeholder, and where the leaseholders share the freehold, is a long-term design that is sympathetic to the rest of the building and has architectural merit. It is not simply a box of flats put on top with little consideration to the aesthetic. The design process is mutually beneficial to the developer and the existing property owners, in return for building new flats, a company such as South Coast Estates would make enhancements to the rest of the building. In practical terms, this might mean new lifts, repairs and redecoration to the outside of the building, updated or new communal areas, improvements to parking, a new roof with a guaranteed 20-year lifespan and more. The whole property is brought up to modern standards. Ultimately it would be the developer’s job to tackle any concerns, this is another reason to only consider experienced, specialist developers who will have seen the same concerns raised on multiple projects. Many of the concerns would be tackled in the initial assessment phase. If, for example, a developer sought specialist advice advising that a neighbouring properties could potentially have rights-of light implications on the airspace development the developer would be able to design accordingly. It should be noted that rights-of-light is not a planning concern and hence if not properly dealt with during a projects inception it could lead to the property being 100% unviable. Other complaints might be from existing leaseholders and nearby property owners understandably worried by the potential for noise and disruption during the build. Our method would be to have the existing leaseholders on board from the start of the project, often it is the leaseholders who share the freehold who have the initial idea to see if their property is suitable for development. As mentioned previously, in return for the extra flats, they are getting major updates made to the building. We would also notify and liaise with all interested parties such as neighbours. Another way to tackle concerns is to carry out part of the build off-site. 80% of build is often managed this way. With elements built off-site, it is then a relatively quick process to attach pre-built sections to the existing building, rather than everything happening in situ. Upgrade to the overall buildings can lead to each individual property going up in value, normally by three or four per cent, sometimes by 10%. Additionally, there are decreases in each flat’s service charge along with reduced future renovation costs and the lack of costs relating to the roof – commonly seen as the costliest renovation element of a building. There are more properties to share the overall service cost while the need for repairs has also been diminished, the rooftop development having also made numerous upgrades to the rest of the property – new lifts, improved service provision, repairs and redecoration throughout. At South Coast Estates, we can make upfront payment for the renovation of buildings in return for airspace lease or we can guarantee the costs of renovating the building if airspace development and renovations take place at the same time. Other potential concerns and our responses are covered in our FAQs page. How long does rooftop development take? While residents might have concerns regarding the duration of a build, it is actually the planning process that can be the most time consuming. The planning process can take anywhere from 3 months to a year, that is the length of time for an experienced, specialist in this field. This period includes responding to any questions and concerns raised by local planners, however it is worth noting that a benefit of using a specialist airspace developer is that most of these potential road-blocks are likely to have been thought of in advance. Traditional builds are eight months but we aim to do this quicker. This does not equate to six or eight months’ worth of disruption as much of the build can be carried out off site. The risks with rooftop development are determined by the choice of developer. A non-specialist builder might identify a property but fail to foresee potential issues that would arise during the build. If costs mount up and they have no long-term commitment to the property, could that jeopardise agreed enhancements to the rest of the building? With poor designs it is also possible that some of the pre-existing leaseholders see the value of their property diminish — what was once an attractive top-storey flat is likely to be less appealing if it has an ugly box of flats bolted on top of it. At South Coasts Estates, such risks are mitigated. We have the backing of one of the UK’s largest freeholders and so are financially sound. Being specialists, we have the expertise to ensure mistakes outlined above don’t happen. What happens on completion of a rooftop development? With most rooftop developments, on completion the developer looks to immediately sell the properties (or may have already sold off plan). At this stage, once every property has been purchased, they no longer have an interest in the property, in effect things revert to how they were, the only difference being there are a few more properties within the building. Our approach would be different, we would rent the new properties out and so retain an interest in the property’s ongoing maintenance and desirability. We would hope to have built up a relationship based on trust and delivery of promises during the development and this mutually beneficial relationship would then continue into the following decades. If you would like more information, whether that is an assessment of your building for its feasibility for rooftop development or even just an initial chat to gain further information please do get in touch.